Whether it is considered ugly, unprofessional, or unacceptable, the perception of textured hair has always been viewed as inferior against European standards of beauty. Despite the negativity, the natural hair movement is prospering due to women and girls embracing self-love and acceptance, and those who support them in their journey. Recently, Alexondra Purnomo, a first-grade teacher in a predominately white Italian school in Italy, shared a heart-warming account on Facebook of how one small gesture lead to a special outcome for one child. Something as simple as embracing natural hair made a statement that forever changed those children. She did not scold the children and single out Sasha, but rather created an environment where Sasha was praised for her individuality. I love how the teacher handled this. There is nothing wrong with differences and they should be celebrated and not overlooked or made to conform. 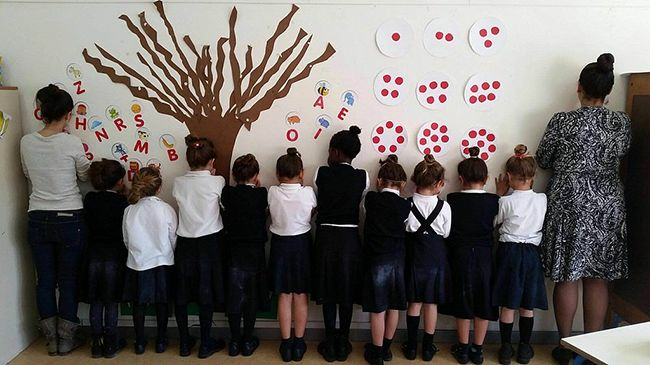 This teacher did more than make one little girl feel good about herself and her hair; she made an entire classroom of future adults love their classmate’s individuality and in turn begin to accept everyone’s uniqueness. We need more people like Alexondra Purnomo, taking a problematic situation that could have scarred a child and turning it into a beautiful acceptance of all. All it took was creative positivity.